In 1002, fifteen­ year old Emma of Normandy crosses the Narrow Sea to wed the much older King Athelred of England, whom she meets for the first time at the church door. 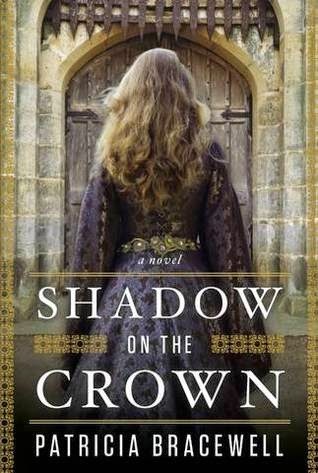 Thrust into an unfamiliar and treacherous court, with a husband who mistrusts her, stepsons who resent her and a bewitching rival who covets her crown, Emma must defend herself against her enemies and secure her status as queen by bearing a son. It's 1002 when Emma is introduced in this 1st book of a planned trilogy. Having never read anything in this time period I looked forward to reading this with eager anticipation. Right from the beginning I liked Emma, being sister to the Duke of Normany she was his political pawn. Sent to England to marry the King, AEthelred it was negotiated that she would also be crowned Queen, thus creating enemies before she even had a chance to prove herself. With a husband who could barely tolerate her, few friends and unknown enemies Emma struggled to adjust. Emma is not the main focus of this book. There are other characters that tell the story of their lives and how they all intersect with each other. Forbidden love, mystery, political alliances and more are within the covers of this gem. This is the authors debut and a fine one it is. Her obvious knowledge of this time period is evident with rich details and descriptive settings. Where historical facts are lacking Patricia Bracewell has filled in the gaps perfectly creating an intriguing plot and engaging characters. This was a great start to the new year of reading. Book two of the 'Emma of Normany Trilogy' The Price of Blood will be released today (Feb 5th) and this happy reader is #1 on the list at my library. This book will appeal to fans of Eleanor of Aquitaine and other strong women in history. This book has such an eye-catching cover, and after reading what you thought about it, I definitely think it's one I have to consider on reading. I love historical fiction and this time period sounds intriguing, especially since it's one a bit unheard of.